the maximum of contemporary living standards. Prices per night and without breakfast. 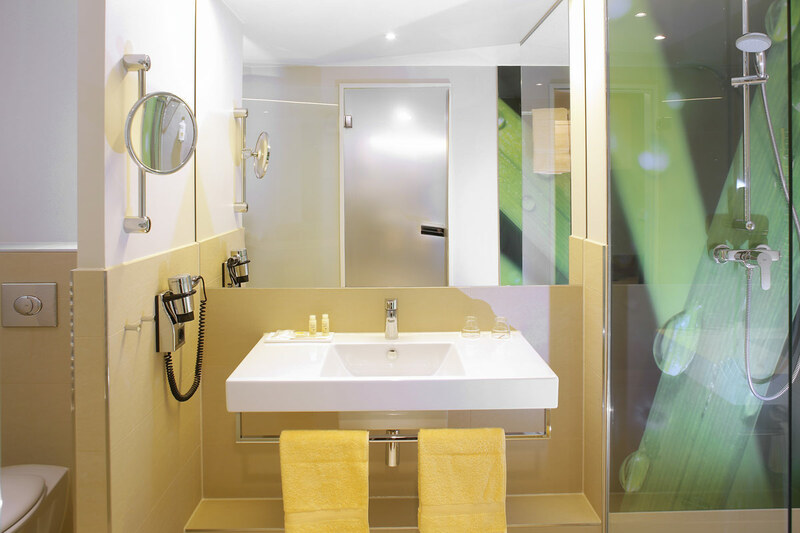 The 26 square meter Standard Room impresses through its stylish and friendly design. Check-in is possible daily from 3:00 p.m. You are asked to check-out by 12:00 p.m. We ask for your understanding that pets are not permitted at the hotel out of respect for our guests. Group reservations* and cost assumptions are not possible.